What In The Heck Is Going On With Harvey’s Ex Wife? 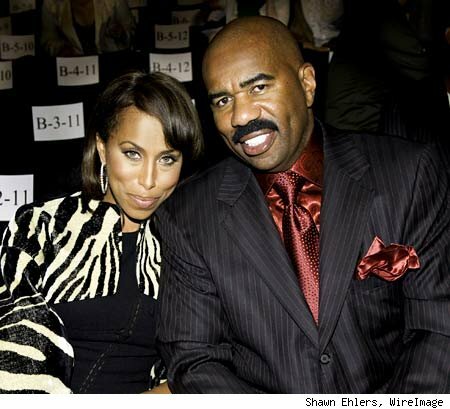 If you go to some of the “urban” sites on the net you most likely have saw a story or two about the situation between comedian and radio and TV host Steve Harvey’s ex wife and current wife. It is real strange. It started when Harvey’s ex wife Mary putting a series of three You Tube videos out discussing the possible cheating on her with other ladies while they were married. She went on and spoke out more on You Tube and other outlets. 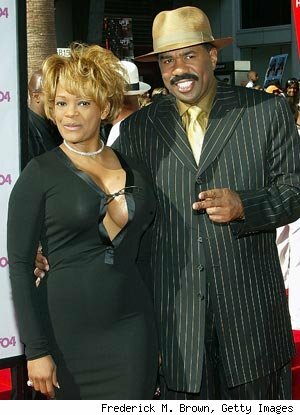 Now Harvey’s current wife, Marjorie is tired of the actions by Mary and wants to sue Mary. I am sorry to say this could get ugly. wondering why she is coming out with so called dirt years after they broke up. I totally agee with Steve. Mary Harvey has come out and said she is broke. In my opinion she is a jealous female who has noticed that Harvey a solid career with a radio show, TV show and has had two best selling books. “Music Inner City News Magazine” is the #1 urban news magazine on the Internet from the Northwest. In the next few days please watch “Music Inner City Broadband TV” a web version of our TV show that airs on Comcast On Demand all over Western Washington state 24/7. Just go to “get local” and then “around the sound” and enjoy the shows. Our webcast programs will feature hot videos and exclusive interviews and entertainment and sports news and little politics.